Khyber Pass. - In the Bala Hissar is the residence of the Amir of Afghanistan. 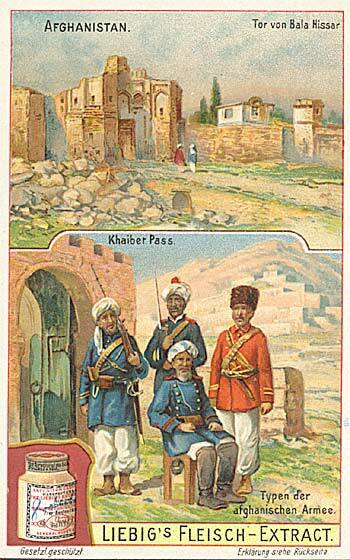 The Khyber Pass, at whose entrance lies the Fort of Jumrud, is the most famous of the fifty passes. Todays army is fitted in Russian-English-Indian traditions; it has a strength of about 50,000 men, with 125 cannons.